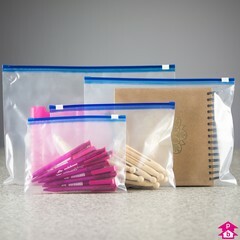 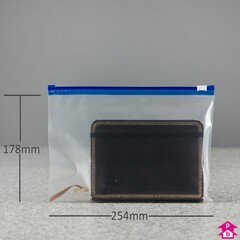 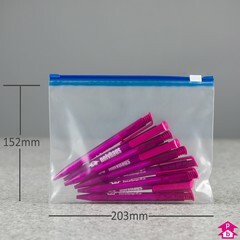 The zip bag is a simple classic design - a self-sealing bag with a blue plastic slidergrip seal to zip open or close the bag to lock it shut, for use time and time again. 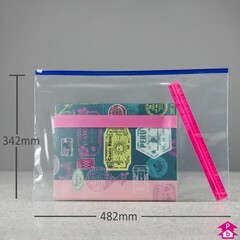 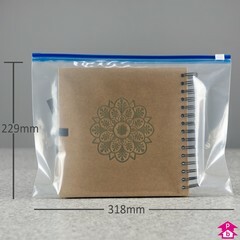 Available in a variety of sizes, zip slider bags provide an ideal way to transport important documents such as school project work, office documents or artwork. 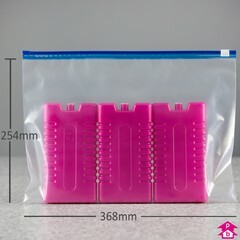 A great way to achieve a professional packing solution at a budget price.